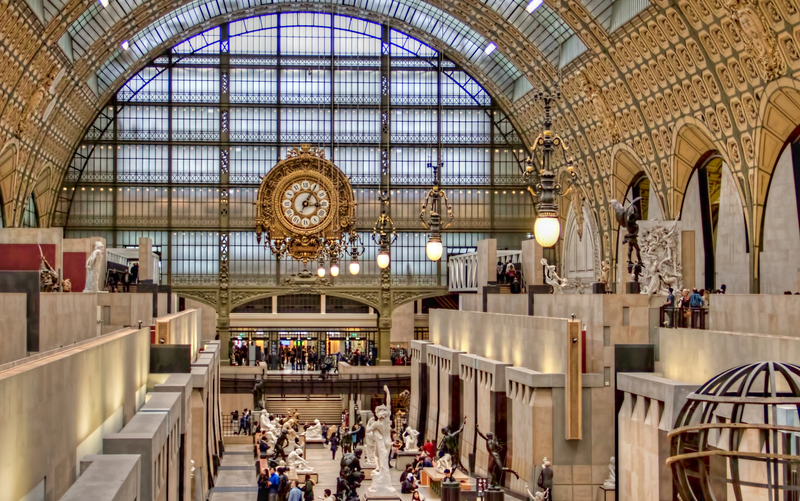 I love the architecture of this building as much as I love the art -- the old bones of the railway station it was originally, gilt and frou-frou beautifully restored, with the very modern galleries and staircases within. It's a tension that seems to enhance the art rather than detract from it, if that makes any kind of non-pretentious sense. Another good reason to come to Paris in February -- this museum is always crowded, but there was actually room to breathe yesterday, to occasionally be the only person in a room looking at a painting. And though it was drizzling when I finally left, it wasn't that cold, and I had a pleasant walk back to my hotel, stopping at a cafe for a croque-madame on Poilâne bread with salad. It's not haute cuisine, but it's one of my favorite things to eat in Paris.